How Quickly Will Water Damage Ruin Your Home? When it comes to water damage, the effects can be felt almost immediately or gradually. This is why knowing how quickly water damage will ruin your home is very important when you are a homeowner. There are damages that can happen as soon as you notice the water damage. However, there are also negative effects that you will experience as days and weeks go by. This is especially true if you left the water damage untreated. We will talk about the effects of water damage on your home and how you can deal with it when it is evident that there is water damage to your home. Moreover, we will also discuss the potential causes of water damage and how you can possibly avoid it. Whenever excess water stays in an area where they are not meant to be found in, you can be certain that there is water damage in your home. However, there are different reasons why water damage is found in your home. Some of these reasons can be caused by a fortuitous event, but there are times when the cause of water damage can be avoided. Storms and hurricanes are the usual acts of God that cause water damage. This is why it is important to build a sturdy home if you live in an area where storms and hurricanes occur often. However, disaster-prone homes are not the only homes that should be prepared for calamities. The effect of any force of nature on your home can be too severe that the damage can be seen immediately. On the contrary, the damage can be too small that you would not notice it until the damage is already visible. This is due to the fact that heavy rains can also cause water damage, especially when your home is structurally poor. These types of water damage can be too sudden that you would not have time to prepare when it comes. This is why it is important to prepare for calamities like it could occur at any time. Another major cause of water damage to your property is the broken pipelines or plumbing. Broken plumbing commonly occurs when your pipes are older since they are prone to cracking. Despite being able to last for a couple of decades, your plumbing system also needs proper maintenance for it to function well. In addition to this, broken pipes can also be caused by the weather. When it is too cold, the pipelines can burst, which can lead to further water damage. There are also times when a human error causes broken plumbing system. This is common when there is a construction that is undergoing because these types of machinery can cause cracks and collapse of broken plumbs and pipes. There are times when cracked pipes would go unnoticed until the water has pooled around in a large quantity. However, there are certain signals that can tell you that there is a broken plumbing system in your home. Simple signs like the presence of foul odor and bubbling noises are an indication of a broken sewage line. There are certain spaces in your home that are really prone to water damage. These spaces are your basement, attic, gutters, and other spaces that are deep and shallow like your roof gutter. This is because it catches more water and it will be able to keep the water in a certain area for a long time, which can cause water damage. On top of that, these areas of your home are barely noticeable and rarely frequented, which is why it is too late before we notice the water damage issue. There are times when you suddenly wonder why the structure of your home has suddenly weakened or collapsed. You may also be surprised as to why there is suddenly moisture on your floor and ceiling. One other cause of water damage is household appliances that are malfunctioning. The appliances that you should always be wary of are your washing machine and dishwasher. However, you should also check your air conditioning, dehumidifier, heater, and refrigerator. Since most of these appliances contain water, it is easy to understand that they can overflow when they are faulty or malfunctioning. When these appliances are unattended, the water will overflow and create a pool of water. This can cause severe water damage to your appliance and the areas proximate to the machinery. There are times when the effects of water damage can be felt within minutes. However, there are also times when the damage can be seen after a few days or weeks. The effects can be visible to the eyes, but there are dangers that cannot be seen. Water damage can expose you to occupational, health, and safety hazards. We will discuss further the timeline of the water damage in the section below. These effects are why it is critical that you contact an expert water damage restoration provider as soon as possible. The mold growth in your home can happen after a few weeks. However, the adverse effects on your health and wellness may be felt within days. The molds can become evident when you feel that your allergies are starting to flare up. Since molds thrive on water, it is easy for them to grow when the water damage has been left untreated for a long period of time. In addition to this, the growth of molds can also damage the aesthetic of your home. This is because it can leave marks of mold growth in the form of fungi and the green grass-like molds that grow on the surface of your wall. In terms of health issues, you can feel it when you begin to have respiratory problems like allergies, asthma, and bronchitis. It can take months or weeks after the mold growth before the health issues can take effect. On the other hand, the smell that is caused by mold growth can still linger for a long period of time. However, there is an effect caused by molds that can be felt within minutes. The quality of the air can become poor once the molds begin to grow. Another health issue that you can face is the contamination of water. This can lead to skin allergies if you come in contact with contaminated water. In addition to this, you will be exposed to bacteria and fungi. Due to these elements, the residents of a home can become more prone to contracting sickness. One of the first few components of your home that can feel the damage of a flood is the pieces of your furniture. Whether it is a wooden bed or a television set, a flood can damage your valuables and belongings within minutes. When it comes to wooden pieces of furniture, the presence of water can cause the structure to weaken. In addition to this, it can also be a home for molds, which has an adverse effect on the wood in itself. There are types of furniture that are sensitive to water and they turn white as soon as it comes in contact with water. Moreover, there are certain pieces of furniture that will swell during water damage. The paint on your furniture can also chip and transfer to walls or floors. They can also be discolored during prolonged exposure to water. For electrical appliances, the damage will become more evident as they can malfunction immediately. Moreover, it becomes more dangerous when your appliance is not waterproof. There are times when the damage can still be repaired. On the contrary, there are times when the damage is too severe that it would be impossible to repair the appliance. In addition to this, the exposure of electrical appliances to water can even cause electrical hazards. Similar to your furniture, the effect of water damage on your structure can happen within minutes. In the event that you have a wooden floor, there is a tendency that the floor will swell. This can lead to difficulty in walking and it can even become dangerous for the residents of the building to live in the property. When you have a carpeted floor, it is more difficult to clean and treat it since it is made of fabric. Depending on the material made for the carpet, the fabric can become discolored. However, the main issue with carpeted floors and water damage is that it will become easier for molds to grow on it because cleaning the carpet will become tough. You cannot simply vacuum the water out of the carpet since you can damage both the vacuum and the carpet. Your walls are also not spared from the damage of flood. This is because a water-soaked wall will have a greater tendency to become discolored. In most cases that we have handled, you will see that a home has experienced water damage when the walls have changed its color. A white colored wall can have spots of yellow after a flood, especially when it took too long before the water was taken out. 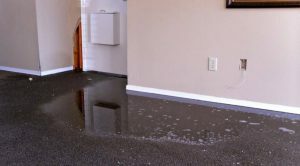 What to do when there is Water Damage? If you are wondering whether you should evacuate from your home as soon as there are signs of water damage, the answer is dependent on how severe the situation is. If the situation is extremely brutal, it is important to evacuate immediately since the occupational hazard will also be severe. When you live in a home that is flooded, you are exposed to health and electrical hazards. However, when the damage is not ruthless, it is fine to stay at home. Despite this, it is still important to call for help whenever there is water damage, no matter how small it may seem. The water damage may seem minimal for now. However, it will continuously grow and it may surprise you that the problem has turned into a severe one. 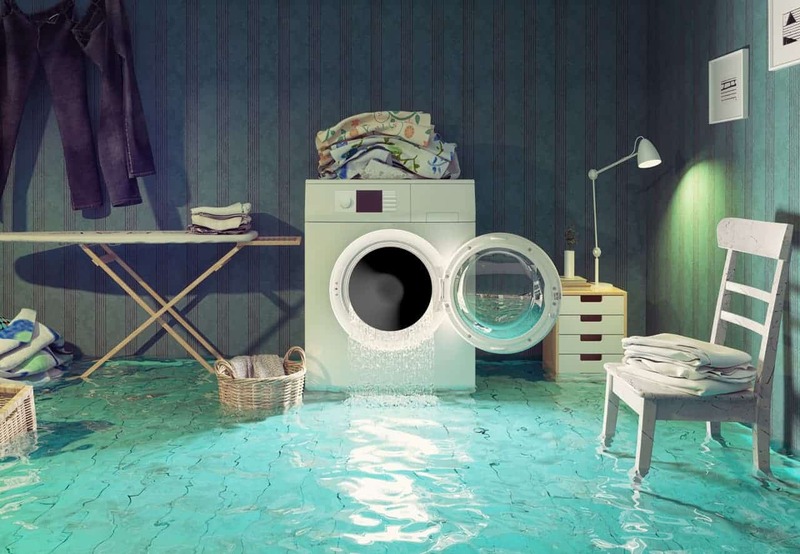 When there is water damage in your property, there is only one thing that you should do. You should always seek to get professional help. There are two advantages to getting professional help when it comes to having water damage to your property. One is that water damage companies have the proper equipment and they employ the best professionals to do the job. Second, a professional water damage restoration company employs trained professionals who are used to doing the job. With a water damage restoration professional, your home will be in good hands since you have professionals working on them. If you think that water damage is a task that you can do by yourself, you thought wrong. In fact, it can cause more damage than necessary. Who to Call When There is Water Damage? At the first sign of water damage, you can call Aurora Restoration Experts to deal with your issues. With Aurora Restoration Experts, you can be certain that the water damage would not ruin your home in the long run. Speeding up the water damage restoration process will minimize the damage to your home. You can just give us a call at (720) 619-1384 and well will work on your home immediately. You also have the option to send us an e-mail for a quotation and we will get back to your right away. When it comes to water damage, your action must be quick in order to prevent further damage to your property and health.